I am always interested to receive feedback from people who attend one of my talks, workshops or holidays. The following represents a selection of the comments I have received which specifically relate to my Fungi Photo Workshop. Fungi are the perfect subject for the keen close up and macro photographer. They come in a huge variety of colours, shapes, and sizes and the peak autumn season reveals them at their best as wonderful subjects to photograph. Once you know where to look for them and have mastered the basic photographic and lighting techniques they are an excellent subject to practise and perfect your close up and macro photography skills. 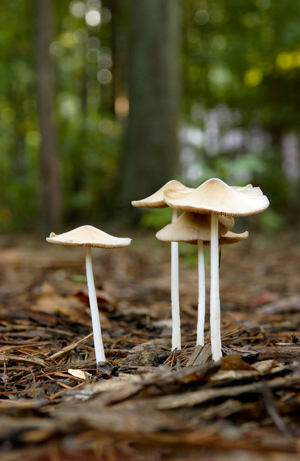 For this workshop I have teamed up with Justin Long, an experienced mycologist, who has been studying fungi for around 15 years. 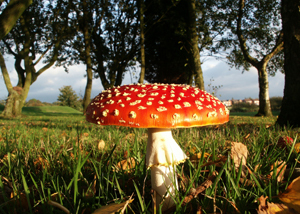 He is thus is the perfect person to introduce us to this exciting subject and from whom to learn more about identifying different types of fungi including the dangers of certain varieties. Macro and close up is a field of photography which all too often can seem baffling and expensive. Through this workshop I will attempt to dispel both of these myths and to help you to understand just how easy and fun it is and can be. During the workshop I introduce guests to some of my preferred techniques for photographing fungi looking to take best advantage of what natural light is available as well as how this can be augmented to optimise the settings the subjects are found in. Feed back received from attendees of the Fungi Photo Workshop.